One of my proudest professional achievements was winning the 2013 GloryReelz Christian Film Festival award for Best Novel. It was this award that launched me into public speaking. And when I speak at various conventions, I am sometimes asked how I got into writing Christian fiction. It was during my third year of college, around 2005-06, that I decided I was going to write Christian science fiction. I scoured my local Borders for novels that I might be able to use as templates to my own. For a while I was dismayed because, outside of the Left Behind series, there weren't many Christian sci-fi books available at the time. So I started looking for African-American authors writing Christian fiction of any kind. 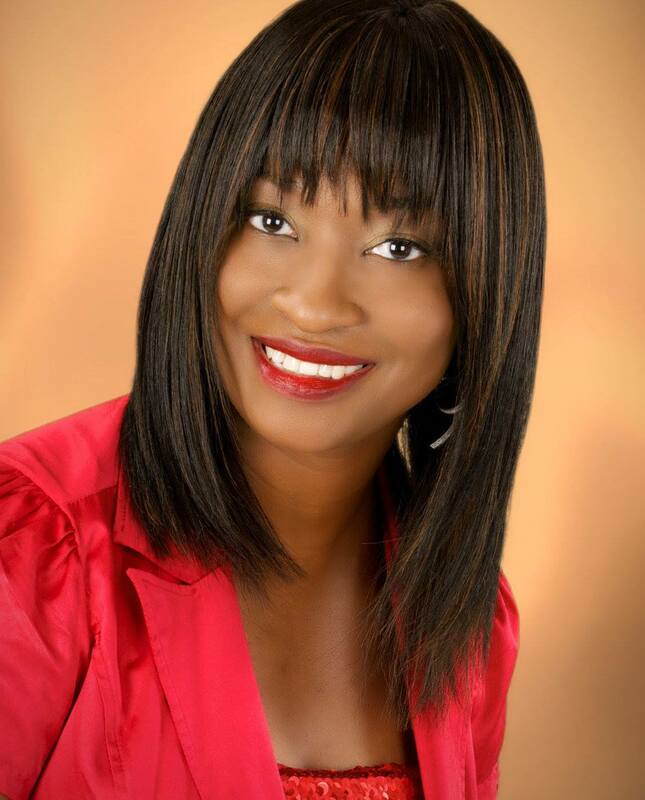 In my search, I was blessed with the discovery of Kim Brooks, a national bestselling author. I remembered being so excited to learn that she was a Detroit native. Her book, He's Fine...but is he Saved?, was self-published at the time. Later, it was picked up by Harlequin Books. It was Kim who inspired me to self-publish my first book. I used her as a template for building the success of that book by specializing in science fiction, the same way she specializes in fiction and non-fiction for single people. I am pleased to bring my sister in Christ and mentor of the printed word into Five-Q. We talked about her path to professional writing and how to build an audience through self-promotion. She can be reached at www.kimontheweb.com and on her official Facebook page. Aaron David Harris: Why did you want to become an author? Kim Brooks: Ever since I could remember my aunt, a head librarian at the time, blessed me each year with a book. I’ve been writing since first grade and was part of the young writer’s club in my elementary school. I’ve always loved to read and I believe my aunt’s gifts helped unlock part of God’s purpose or calling God on my life, which is to write. ADH: Your niche appears to be Christians who are single. Did you intent to make that your niche, or was it something that just happened? KM: The funny thing is no, it wasn’t intentional at all. It all started with my first book. Once people read, He’s Fine…But is He Saved? which is about dating challenges and triumphs of three single, saved women, then readers would come up to me and say things like, “I felt like I was reading my diary when I read that book.” That’s when I knew it was more than just a book; that’s when I knew it was ministry to a specific audience. And as a licensed minister, I’ve been ministering on the topic ever since. ADH: Who are some of your favorite authors, or favorite creators that have influenced the style of your writing? KM: Interestingly enough, though I write both fiction and non-fiction, my favorite authors are mainly non-fiction authors. I like Joyce Meyer’s I Dare You and Devon Franklin’s Produced by Faith. As far as fiction goes, I do enjoy books by Jacquelin Thomas such as The Prodigal Husband and my first book was inspired by Terry McMillan’s Waiting To Exhale. Its chapters bounce around amongst the main characters in a similar way, only difference is all the characters, though on different spiritual levels with unique personalities, all seek healthy, godly relationships and a celibate lifestyle. ADH: Today, it would seem, the easiest thing in the world is to self-publish a book. All you need is a username and a password. You self-published your first book (correct me if I’m wrong) during a time when it wasn’t that easy and it worked out for you. What was that process like going from self-published to traditionally published? KM: Yes, I initially self-published my first book while not having a clue about what I was getting into. Before I took the plunge to self-publish, I spoke with publicist, Pam Perry, who was the founder of a local chapter of a national writers’ group (who later became my publicist and book coach) and I also conversed with well-known bestselling authors who shared with me great tips and actually encouraged me to self-publish instead of going the traditional route. Lastly, I read and following Dan Poynter’s The Self-Publishing Manual which walked me through all the steps to successfully publish a book and run your publishing company like a business. I did eventually seek and receive publishing deals [because] as time went on, running a publishing company began to take its toll on me and take away from writing time. So after selling over 10,000 copies of my first book in just two years, I acquired an agent who found me a book deal with Kimani Press, then imprint of Harlequin Books. ADH: Outside writing, you do other things to promote your brand (internet radio show, public speaking, etc.) What advice would you give to authors about the importance of promotion? KM: I would tell other authors that writing the book is the easy part. I’m on my sixth published book now and I want to let authors known that once you write your first book, subsequent books come easier and take less time to write. The real work comes with promotion. You see, when I self-published my first book over 10 years ago, there was no Facebook. There was no social media. I had to hire a publicist (Pam Perry) who helped me acquire radio and TV interviews and I also promoted my titles through email blasts before it was as common as it is today. Radio sold a lot of my books because we often would speak on the topic the book, which would peak the interest of single readers who would ultimately buy. Oh, and I’d also like to mention that it’s not enough to write a book, you have to write a quality, good book that keeps readers engaged so that word of mouth fuels the sales of future books and garners you more readers. I also promote, not only through social media, but through my blog and ministry as I am often invited to speak at singles conferences and events nationwide and I host events locally as well. So it’s not enough just to promote online where it’s free, you still have to invest in yourself and in your writing career and also put yourself out there and network and meet and support other authors, attend conferences such as the annual Book Expo America in New York and be willing to hand out lots of books before even seeing any sales because all that is the seed and the set up to pave the way for future book sales and to brand your business or ministry.